It’s been the same mantra for local journalism as it has for real estate. And being in the right place at the right time can be a fortuitous formula for success in both cases. The San Mateo Times, operating in suburban San Mateo County as a six-day-a-week paid evening publication just south of San Francisco on the northern end of what became Silicon Valley, adhered to that principle for decades. And it proved quite profitable — for a very long time. The newspaper’s origins can be traced all the way back to 1889, 125 years ago. I have worked for The Times, both full- and part-time, for 50 of those years. I still write a weekly column for what has become the San Mateo County Times. The changes, both for the newspaper and for the county overall, have been significant and far-reaching during that half-century. For 78 years, the broadsheet was owned and operated by Horace Amphlett and his heirs, in particular J. Hart Clinton (he had married one of the two Amphlett daughters) and his family. It was the ambitious and tough-minded Clinton, an attorney by profession, who guided The Times through its years of greatest growth and community influence. After World War II, the county experienced a rapid population surge and an attendant economic boom. The Times, which moved into sleek, new headquarters to handle its increasing business in 1964, was the happy beneficiary of these circumstances. By the late 1970s and early 1980s, as new area shopping centers came on line (and older ones were updated), local display advertising was off the charts. Classified ads were booming too. Paid circulation was heading toward 50,000. And, for the most part, those readers were affluent homeowners with lots of disposable income. Then, as now, the county had some of the highest property values and household incomes in the U.S.
Over time, Clinton had crushed much of the local competition; he purchased most of the independent weekly newspapers which dotted the northern half of the county and folded them into his own operations. There was plenty of available cash to accomplish that goal. A high water mark seemed to present itself in 1989 when the newspaper celebrated its 100th anniversary. There were festive parties, congratulatory proclamations and marketing ploys galore. A new printing press had been purchased (in part, with borrowed money). A massive, 10-section special edition produced by The Times staff (there were 270 on the payroll at that time) embraced 124 pages, of which 70 percent were pricey display ads. Revenue was flowing in. The standing joke was that the newspaper was a cash register. In fact, just a few years before the centennial observation, there were several reports that at least one newspaper chain had offered the Clinton family $60 million for its mini-publishing empire. It had been turned down. But trouble lay directly ahead. An economic downturn picked up steam in the early 1990s. Debt payments had to be made. Advertising was suffering. Cash flow was starting to turn negative. The firm was paying its unionized employees roughly what their counterparts at the much larger Bay Area metros were getting. The impact of the Internet was beginning to be a worrisome factor. And, separately, there were also onerous estate taxes that had to be paid by the Clinton family. Even when the Peninsula Times-Tribune (a Chicago Tribune-owned combination of the former Palo Alto Times and Redwood City Tribune) closed its doors in 1993, an anticipated, sustained boost in revenues never happened 15 miles north in San Mateo. Circulation at The Times quickly jumped to almost 60,000 but tailed off within less than a year. Advertising dollars dwindled too. The Times was losing gobs of money on a monthly basis. Even the county’s demographics were changing. And the Clinton family didn’t own other media assets (radio, TV, etc.) which could have helped to buffer losses generated by the newspaper. By 1995, it was obvious: It was time to sell or shut the doors. Layoffs, pay cuts for both union and management workers, along with a range of other cutbacks, did little to stem the unforgiving tide. The newspaper was put up for sale by Clinton’s son, John. J. Hart had passed away several years earlier (hence the estate tax issue). Dean Singleton’s MediaNews, one of the very few viable suitors to step forward, bought The Times (which had 190 employees at the time) in early 1996 and, with an eye on trimming costs and consolidating functions and services to create savings, merged it into what was then the Alameda Newspaper Group, based in the East Bay. The asset-only sale price (for the land and building) reportedly was $10 million. However, that figure included the assumption of debt and other outstanding liabilities. The net proceeds from that transaction have been reported to be as little as $1 million by several sources. Today, the San Mateo County Times is an edition of the San Jose Mercury News, part of the Bay Area News Group which is currently controlled by Alden Global Capital, a hedge fund. The Times masthead remains. The Times office property, on 3.5 valuable acres of land, was sold to a developer in 2008 for just under $7 million, according to the Silicon Valley Business Journal; the site has been re-born as a modest residential complex adjacent to Highway 101 in San Mateo. A small number of Times staffers have been retained by the Mercury News throughout concerted downsizing but the halcyon days of a generation ago are long gone as the turmoil in the newspaper business persists. Still, San Mateo County print journalism remains surprisingly vital. The area is served directly by three paid dailies, two paid weeklies, four free dailies and a handful of free weeklies. Most of these news outlets also maintain an online presence. Could the San Mateo Times have been preserved as it was during its most profitable and vibrant days? No. It was a vastly different era. And, in the end, there were simply too many fiscal challenges, some of them unique to The Times and the Clinton family, to overcome in a rapidly changing media environment. The end result may have been inevitable. 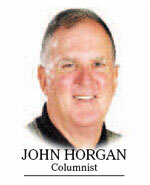 John Horgan can be contacted by email at johnhorganmedia@gmail.com.